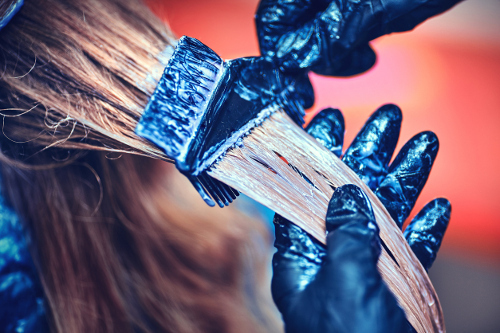 Home » Cancer » Are Hair Dyes and Chemical Relaxers Causing Cancer? Long before the days of plastic surgeries and “BOTOX,” people would manipulate their appearance with hair products. Hair dyes and straighteners have allowed people to change their look easily in the privacy of their own bathroom. And these products are still very widely used today. Unfortunately, they could be significantly increasing your risk for cancer. A brand-new study by epidemiologists at Rutgers University in New Jersey found that women who dyed their hair black or brown, used chemical relaxers, or did both, were far more likely to get breast cancer than women who didn’t. The study looked predominantly at Caucasian and African-American women, but there is no reason to believe the same results would not apply to any other races. Furthermore, black and white women in America tend to have very similar breast cancer rates, further indicating that genetics do not play a substantial role. Of the 4,285 women analyzed, researchers found that African-American women who dyed their hair black or brown had a 51% increased risk of breast cancer compared to black women who did not use hair dye. And Caucasian women who said they used chemical relaxers saw breast cancer risk jump 74% compared to white women who didn’t use relaxers. The greatest increase in cancer risk was found in white women who used both black or brown hair dye and chemical relaxers. They had double the risk compared to women who didn’t use the products. This isn’t the first study showing a link between hair products and cancer. Previous research has shown that dark hair dyes have close associations with both non-Hodgkin’s lymphoma and bladder cancer. Now, this study doesn’t definitively prove that such products cause breast cancer, but the association does look pretty strong. It should also be noted that occasional straightening and dyeing may still be safe, but regular use should be approached with caution going forward. Remember; just because a product is on a store shelf, doesn’t mean it’s safe to use! To reduce your risk of breast cancer, avoiding dark hair dyes and chemical relaxers may be a smart move. Especially if the disease already runs in your family. Embracing your natural hair color and texture could play a big role in lowering your chances of this devastating illness, while requiring relatively little effort. And you know what? You’ll save a little money, too!